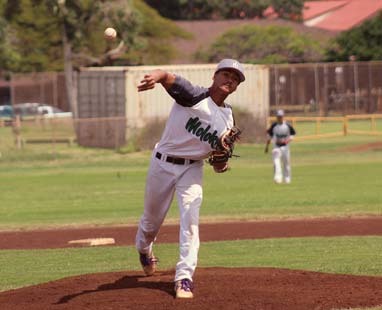 The Molokai High School baseball team jumped out to a seven-run lead after two innings and finished an unbeaten run through the Maui Interscholastic League Division II regular season with a 10-0, six-inning win over Seabury Hall on Saturday morning in Kaunakakai. The Farmers (9-0) rode a complete-game four-hitter from Shraedon Naeole-Starkey, who struck out two, walked none and needed just 67 pitches to finish. Naeole-Starkey was 3-for-4 at the plate with a double, a triple, three runs and an RBI. Nainoa Kaahanui was 3-for-4 with a triple, two runs and three RBIs. Jacob Luther had two htis for Seabury Hall (6-3). At Lanai City, the Trojans (3-6) took both ends of a doubleheader to finish off a sweep of their three-game set. St. Anthony scored nine times in the sixth inning to break a 10-10 tie in the second game. Jake Gage was 4-for-5 with two home runs, including a grand slam, and a double with four runs and seven RBIs in the final game for St. Anthony. Naighel Calderon and Deverene Kahananui-Alejado each smacked solo home runs in the second game for Lanai (0-9), which outhit the Trojans 16-7. In the opener, Ricky Ambrose knocked in Evan Essner with the winning run with two outs in the bottom of the seventh. Both teams were limited to two hits. Lucas DiMartino, Rafe Perrin (3) and Jack Almeida; Shraedon Naeole-Starkey and Kaimana Nakayama. W–Naeole-Starkey. L–DiMartino. 2B–Molokai: Naeole-Starkey, Micah Calairo-Nakagawa, Royden Abafo. 3B–Molokai: Naeole-Starkey, Nainoa Kaahanui, Kekaiomalu Adachi. Leading hitters–Molokai: Naeole-Starkey 3-4, 3 runs, RBI; Adachi 2-4, 2 runs, 2 RBIs; Kaahanui 3-4, 2 runs, 3 RBIs. Devin Vidad and Kane Tubera; Bubba Chuckas and Ricky Ambrose. W–Chuckas. L–Vidad. 2B–Lanai: Naighel Calderon. Leading hitters–Lanai: Calderon 2-3, 2 RBIs. Hunter Otani, Geste Ornellas (5), Ricky Ambrose (6) and Jake Gage; Devrene Kahananui-Alejado, Steven Jackson (6), Louis Romero (6) and Kane Tubera. W–Ambrose. L–Jackson. 2B–St. Anthony: Jake Gage, Chris Neilson; Lanai: Louis Romero. HR–St. Anthony: Gage 2; Lanai: Naighel Calderon, Kahananui-Alejado. 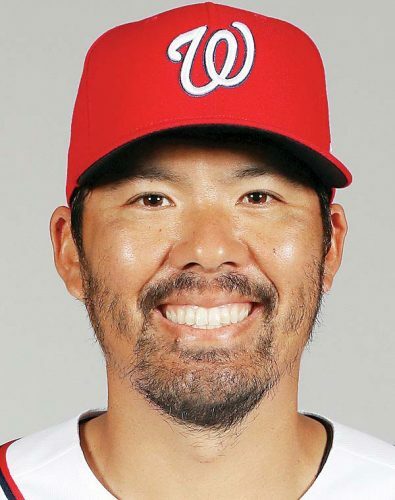 Leading hitters–St. Anthony: Gage 4-5, 4 runs, 7 RBIs; Neilson 2-5; Bubba Chuckas 2-4. Lanai: Romero 2-4; Tower Vergara 2-2; Kahananui-Alejado 2-4; Kian Tubera 2-3; Kane Tubera 2-3; Vidad 2-5. D-I play-in: King Kekaulike vs. Lahainaluna, 5:30 p.m.
D-II semifinal: Molokai vs. Lanai, 1:30 p.m.
D-II semifinal: Seabury Hall vs. St. Anthony, 3:30 p.m.
D-I semifinal: Baldwin vs. King Kekaulike-Lahainaluna winner, 5:30 p.m.
D-I semifinal: Kamehameha Maui vs. Maui High, 3:30 p.m.
D-II overall championship, if necessary, 10 a.m.
D-I overall championship or second-place playoff, if necessary, 5:30 p.m.